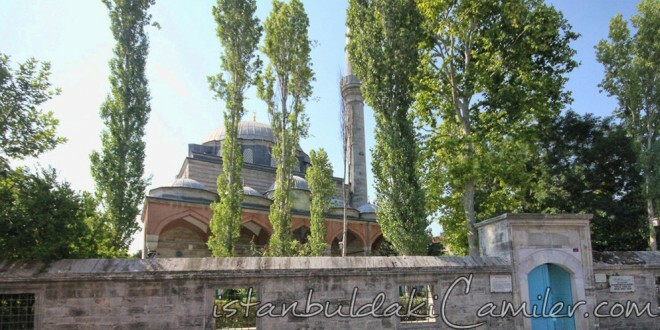 Hadim Ibrahim Pasa Mosque: It was built for Hadim Ibrahim Pasha in 1551 by Mimar Sinan. The exterior walls of the mosque lie along the Silivrikapi Road. It was originally built as a Kulliye but only the mosque can make it until today. The mosque which reflects classical period Ottoman architecture and Mimar Sinan’s artistic finesse in architecture is surrounded with walls made of face Stones. It has got three entrance Gates two of which have an inscription. Hadim Ibrahim Pasa Mosque was built as a Kulliye with its Turkish bath and schools, yet today only some ruins from their walls are left. In its large threshold there are marbles left from the kulliye buildings, the open-topped tomb of Ibrahim Pasha, and a lancet arched marble fountain. Ibrahim Pasha, and a lancet arched marble fountain. Ibrahim Pasha paid great attention the time of azan. He had an azan alarm system built out of sand glasses with attendants standing over in a house he donated for this mission. When the time of azan comes, the muezzin was appraised so that the azan can be recited on time. He also had a 95-page testament dating from 1560 admosnishing that the expenses be provided from the incomes of the trustee’s foundation.